A new website is allowing the small Iowa community of Brooklyn to help authorities as they investigate the mysterious disappearance of Mollie Tibbetts. Tibbetts, a 20-year-old rising sophomore at the University of Iowa, vanished the evening of July 18 while jogging in Brooklyn, a close-knit, rural farming town of about 1,500 people. The disappearance was completely out of character for her, Mitch Mortvedt, assistant director of field operations for the Iowa Division of Criminal Investigations, said at a news conference Monday. The state agency has formed a task force with the FBI and the Poweshiek County Sheriff's Office to investigate. 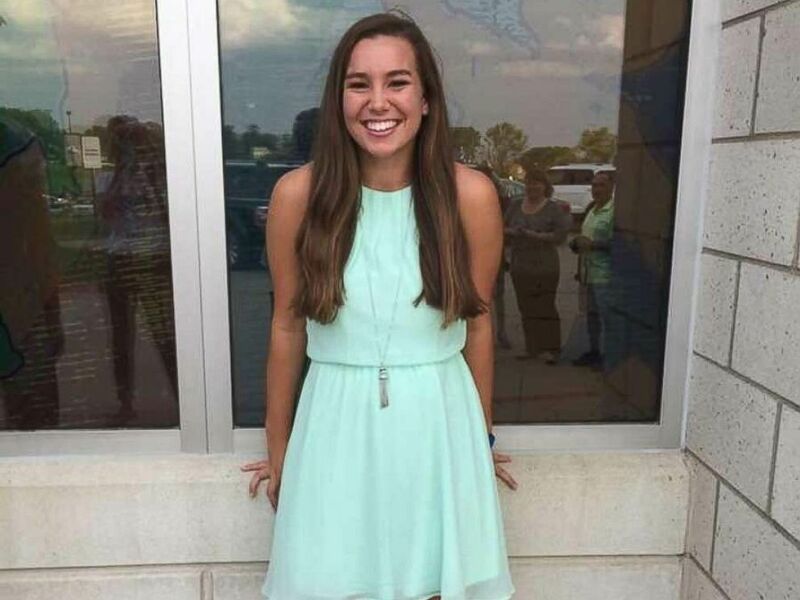 Mollie Tibbetts, 20, went missing while out for a run in Brooklyn, Iowa, on Wednesday, July 18, 2018. Nearly one month later, "every avenue ... is being pursued," Mortvedt said, including conducting searches and following up on all reported information. More than 1,500 tips have been received and over 500 interviews have been conducted, officials said. A reward has climbed to over $360,000. 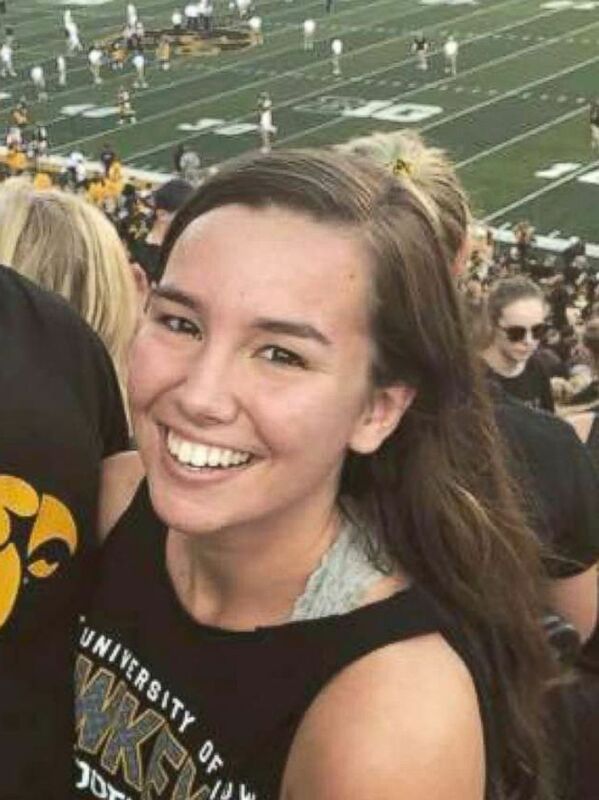 Mollie Tibbetts is pictured in a photo posted to Facebook, July 20, 2018. The new website -- findingmollie.iowa.gov -- allows people to submit anonymous tips, authorities said. "We are asking everyone to reflect back on the days prior to her disappearance in hopes of recalling details about any persons or vehicles in the area," Mortvedt said. "Individuals who commit violent crimes often display behavior that is recognized by those with whom they live, work, attend school or are in otherwise close relationships with." 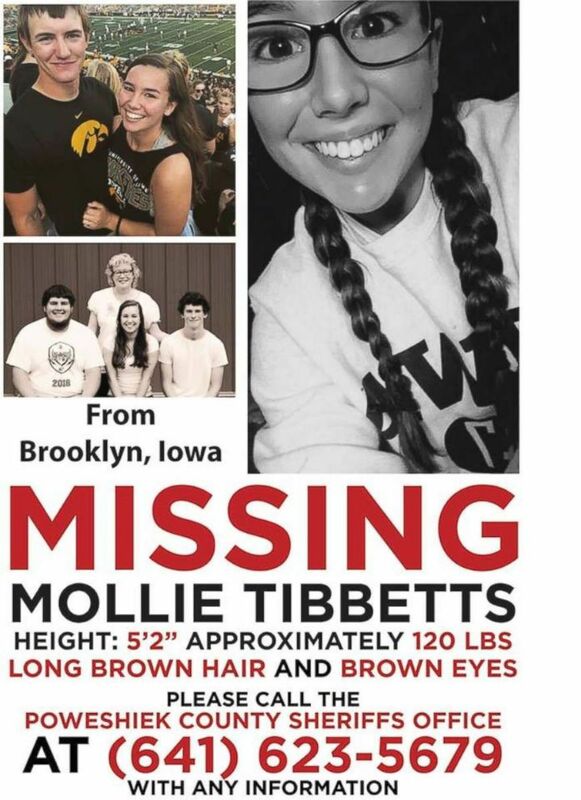 A missing person flyer for University of Iowa student Mollie Tibbetts. Mortvedt warned that such behavior could include: changing normal routines, changing sleep patterns, an unexplained lack of contact on July 18 or 19, unexplained injuries, getting rid of a car or unexpectedly cleaning a car. "It is often in cases like this that people may have information that they do not initially share for a number of completely understandable reasons, for example: They do not initially feel that it was important or assumed that somebody else may have already informed law enforcement," he said. "We encourage you to provide whatever information you may have." 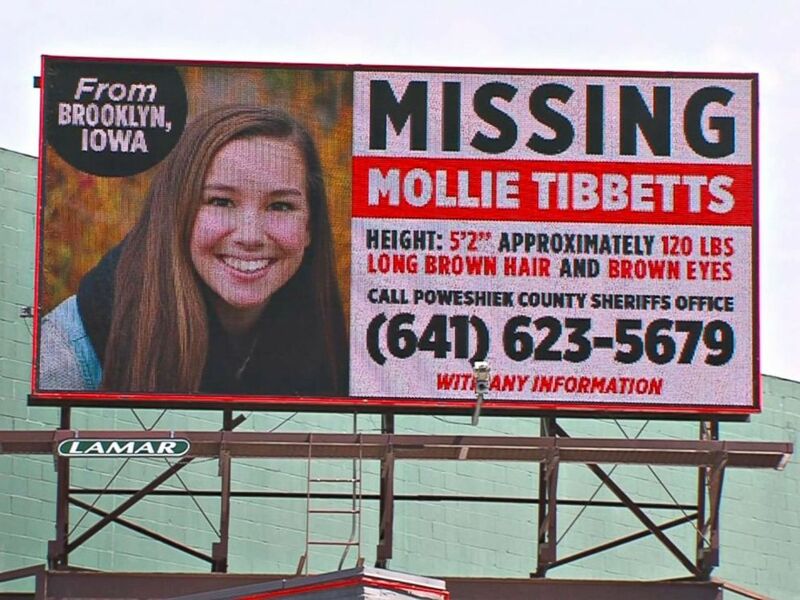 A missing person billboard for University of Iowa student Mollie Tibbetts. 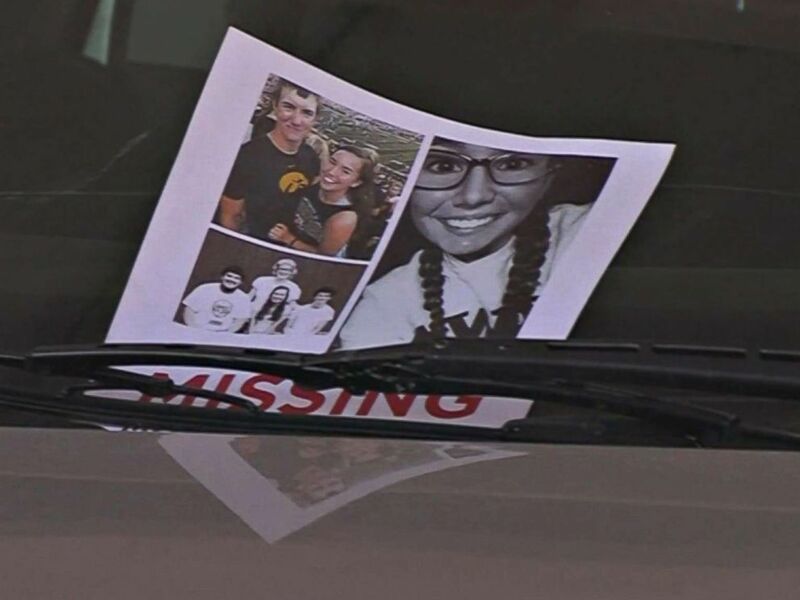 Men post a missing person flyer in Brooklyn, Iowa, in the search for Mollie Tibbetts. Laura Calderwood, Tibbetts' mother, told ABC News last month there were "no words to describe how you feel when you don't know where or how your child is," calling it "excruciating." One of Tibbetts' brothers, Scott Tibbetts, said he believed his sister was "fighting her best to get back home." "I think the best thing, personally, to hang onto hope is ... she's a better fighter than anyone I know," he told ABC News. "So whatever situation she's in, it's not like she's going to sit there and give up."